Prepared Foods profiles new retail chocolate and non-chocolate confections. Mintel shares consumer preferences and behavior insights involving chocolate. 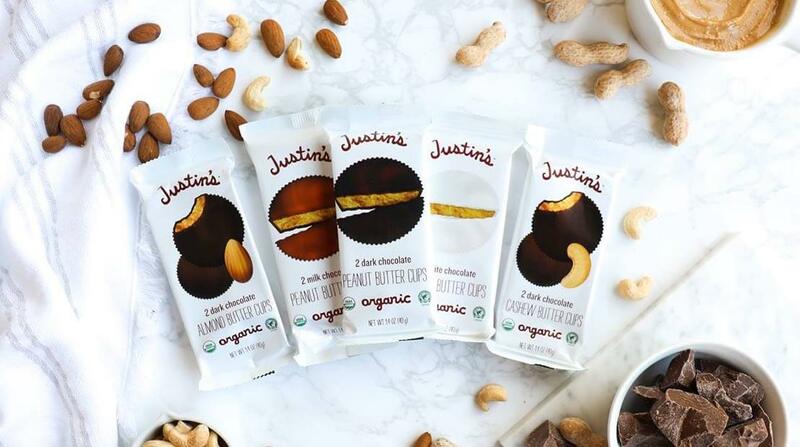 Justin’s, a Boulder, Colo., producer of nut butters, nut butter snacks and organic peanut butter cups, expanded its confections line with two new USDA-certified organic offerings: Dark Chocolate Almond Butter Cups and Dark Chocolate Cashew Butter Cups. Gold says the new offerings feature “mindfully sourced ingredients and less sugar than conventional cups.” The confections retail for $2.29 per two-cup pack. All Justin’s new confections are Non-GMO Project Verified, certified gluten-free and made without artificial flavoring or preservatives, while also being crafted with Rainforest Alliance Certified chocolate and Orangutan-Friendly Palm Oil. Justin’s also added Organic Mini White Chocolate Peanut Butter Cups to its lineup earlier this year rounding out the peanut butter cup product line. As the only organic White Chocolate Mini Peanut Butter Cup on the market, the company says its new bite-sized treat addresses the growing desire for variety and more snackable forms.